The Moorings has a long-standing relationship with Boat Owners Association of The United States (BoatU.S.) 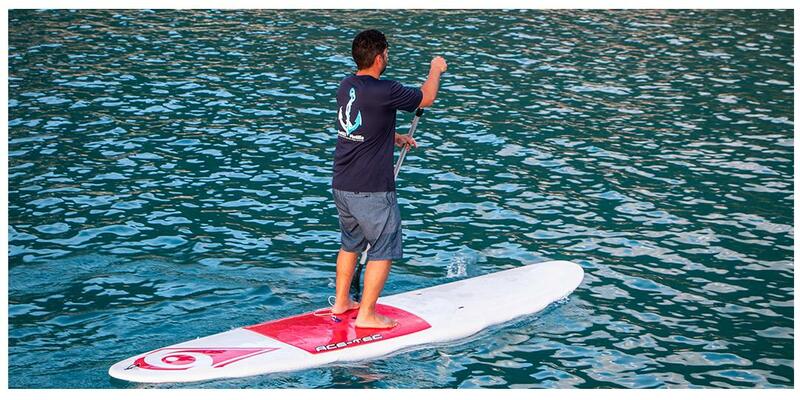 – an organization that supports the interest of recreational boaters. In 2014 we partnered for the first time to create the annual BoatU.S. 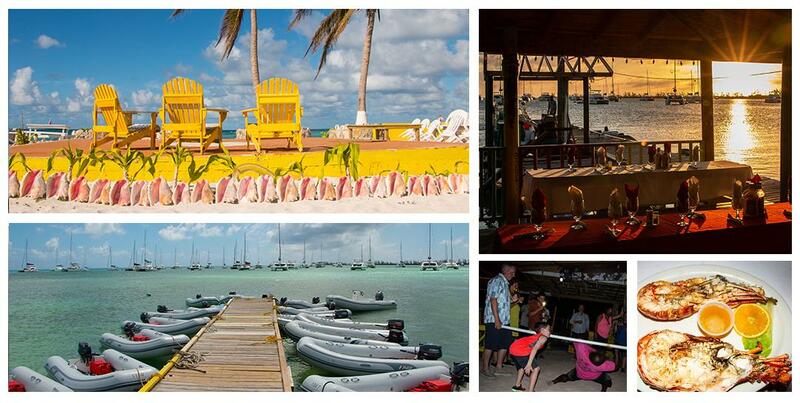 Flotilla, which invites members to come together in a beautiful destination, mingle and of course get out on the water! We just got back from our 5th annual BoatU.S. Flotilla in the enchanting British Virgin Islands – and what an exciting week it was. More than 30 BoatU.S. 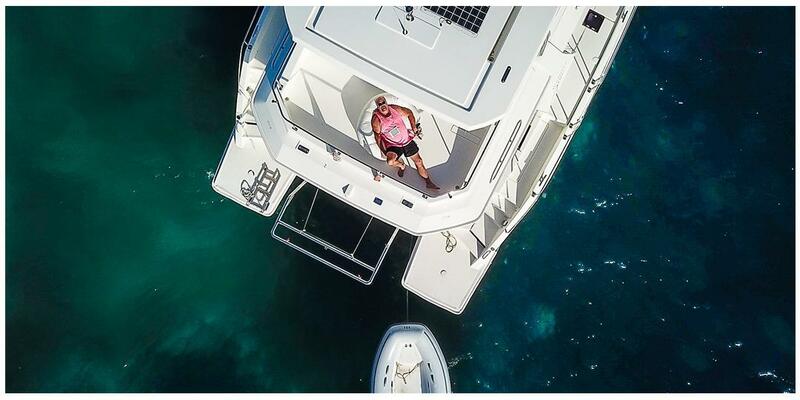 Members and their flotilla lead boat, spearheaded by Captain Nibbs and Tina Huewe from the Moorings Marketing department experienced a wide variety of sights, tastes and sounds along their weeklong charter vacation through the BVI. 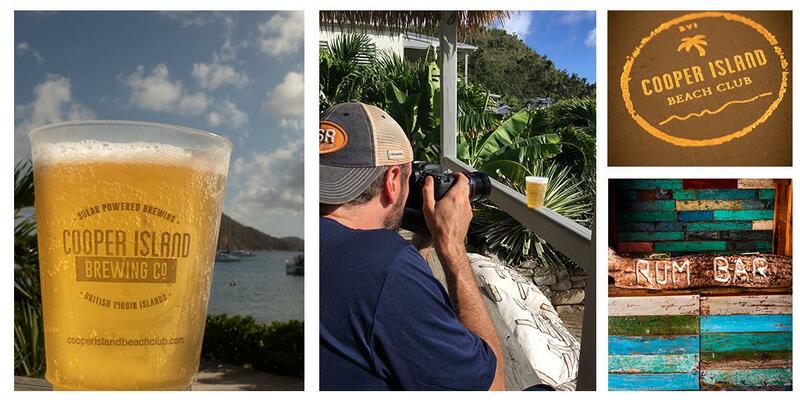 In an effort to keep our guests updated on the recovery process in the British Virgin Islands after last years’ hurricane activity our Moorings photographer Adam Rohrmann joined us on our lead boat this year. Aside from documenting the progress our beloved islands are making, he also took some drone footage and professional style photos of our guests and their charter yachts, making for a unique memory of their vacation. Everyone was full of anticipation, hoping to see the brand new “Willy T” which was supposed to move into its new home on Peter Island the same week our Flotilla was cruising the BVI waters. - We were able to see the “Willy T” laying at the dock close to our Tortola base, but unfortunately in the end we missed the big opening party by a whole week. We started our BoatU.S. BVI Flotilla with a Welcome Cocktail at the Mariner Inn Restaurant right at our Tortola base and a quick informational chat about the week ahead. Participants used the next morning for final preparations and received a more detailed briefing from Captain Nibbs before we all headed out to our first stop — Cooper Island. Here many of our participants had the opportunity to grab the first mooring ball in their lives. And many did so on their first try. Well done! The Cooper Island Beach Club which had recently reopened offered a variety of refreshment options with its own on-site brewery, rum bar, restaurant, boutique and coffee shop – Cooper Island coffee beans are freshly roasted every day. The next day began with the daily VHF chart briefing and an early morning start to get to the Baths on time for the limited amount of mooring balls available at this popular day-stop. Once moored it was only a short dinghy ride to the dinghy line provided and from there a short swim to shore. Some participants opted to dock in Spanish Town and take a taxi to the top of the Baths – where the views are beautiful and the restaurant, gift shops and boutiques are up and running. Onwards to Leverick Bay in the North Sound. At the fully functional marina guests stocked up on ice and water and we ended the day with an evening group dinner at the upstairs restaurant. A local steel drum band provided entertainment and while no one was brave enough to hit the stage for dancing at this stop we definitely enjoyed tonight’s food and drinks in the company of our favorite cruising companions. Anegada, also known as the “drowned island” due to the meaning of the name’s Spanish origin and its flat appearance compared to the other islands in the BVI group, was the next destination on our flotilla itinerary. Our Flotilla members had the whole day to explore the island on their own. Some chose to do so by taxi and the more adventurous ones by scooter. Long white beaches and turquoise waters greeted the visitors at Cow Wreck Beach and Loblolly Beach on the island’s northern side. Anegada offers its visitors a variety of attractions, like the bike and scooter rental, horseback riding at Francis Family Farm, visits to the Iguana Rock Headstart Station and of course the famous Anegada lobster. We finished the day with just that, a dinner at Potter’s By The Sea and their delicious catch-fresh lobster. The local DJ got people dancing and later in the evening we discovered a few talented dancers and even limbo dancers in our group. On the way from Anegada to Cane Garden Bay the next morning we stopped at Marina Cay to see the recovery process at this beloved cruise stop. While time and further restoration will be required until Marina Cay will be its old self again, the opening of its small patio café with the same old amazing views and a small gift shop on the top of the hill is a promising first step towards recovery. Quiet waters in our overnight destination Cane Garden Bay invited many to make use of their rented SUPs and kayaks that evening. The next morning there was opportunity to visit the Callwood Distillery. Dating back to the sixteen hundreds, the Callwood Distillery is the oldest still functioning distillery in the Caribbean producing a variety of rum from the locally grown sugar cane. 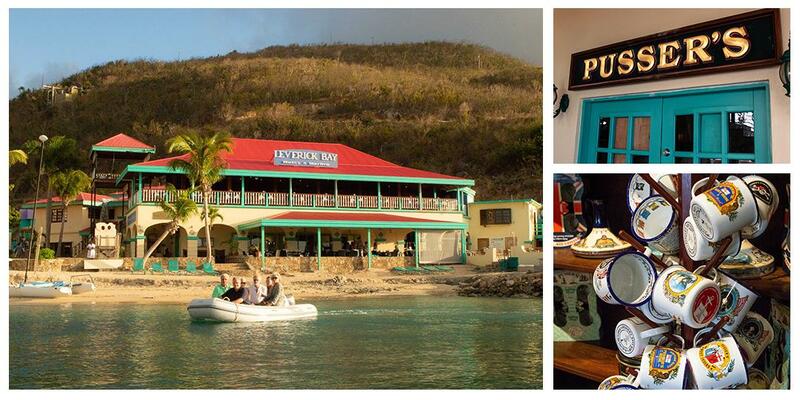 A quick ride west and there we were in famous Great Harbour on Jost Van Dyke, home of “Foxy’s Tamarind Bar”. A little down the street, Corsairs Beach Bar had recently reopened its doors and small newly planted palm trees lined the shore. Other small restaurants, shops and a bakery also lined the road between these two establishments. Local fishermen were busy cleaning their catch of snapper, bar jack and conch. Most boats chose to take their dinghy over to White Bay to visit the Soggy Dollar bar and other establishments that have reopened since the hurricanes. The beach looked great, so different from 6 months ago, when our photographer had visited it the last time three months after the hurricanes. Speaking to Tina, Manager at Hendo’s Hideout, we heard that a lot of work had gone into the cleanup and it shows. Up in the mountains some debris and damaged houses were still visible, but the beach and the beach side businesses looked great – and they were busy! While “Foxy” himself did not make an appearance when we were having dinner that night, the tasty food and drinks led to more dancing as the night progressed. Bidding our farewells we heard how happy our members were about having the lead boat’s support while at the same time having the freedom of breaking away from the flotilla to spend some extra time at places they particularly enjoyed. And with that we heavy-heartedly concluded the 2018 BoatU.S. Flotilla, while at the same time looking forward to our next flotilla in 2019! Side note: This mix of having so much fun on a vacation while still seeing the need for further repairs and recovery efforts on the islands did not go unnoticed by many of the flotilla participants. “I feel like I should do something.” one of our Flotilla participants confided to me. However, going to the BVI and spending money at all those shops, bars and restaurants, is actually doing something. Tourism is the islands’ second largest industry (with the Financial Sector being the first) and showing our appreciation in form of praise and money spent is helping all the effected business owners and employees back on their feet, while enjoying all our favorite cruising grounds still have to offer.